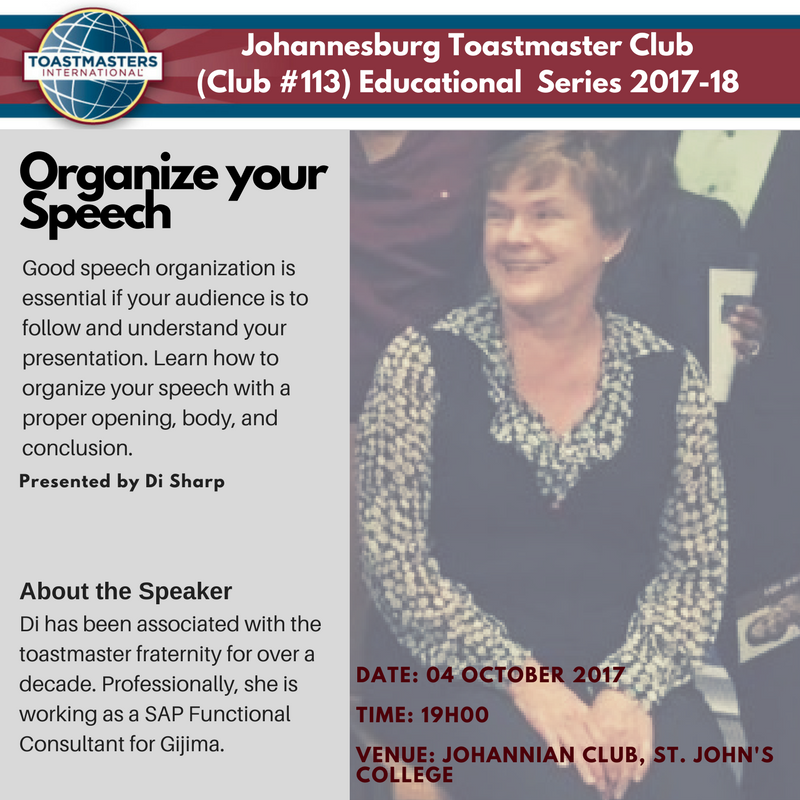 Johanessburg Toastmasters Club has announced their educational lineup for 2017. 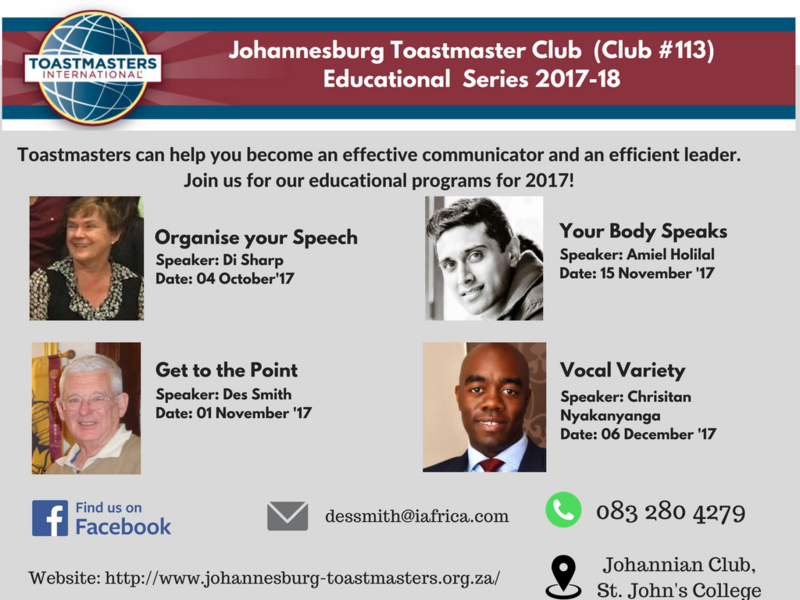 For every Toastmaster who are doing their CC manuals, attending these educational would be very beneficial. 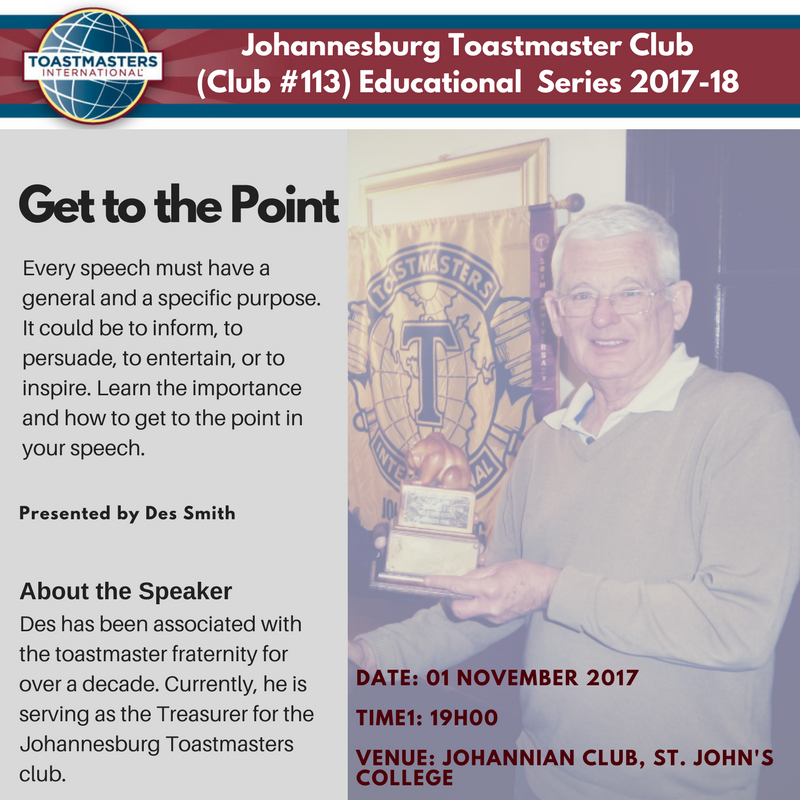 This is an opportunity to learn directly from the seasoned Toastmasters of our 67 years old club. There are four educational lined up for 2017 on 04 October, 08 and 22 November, and 06 December. We look forward to seeing you for these enlightening sessions. 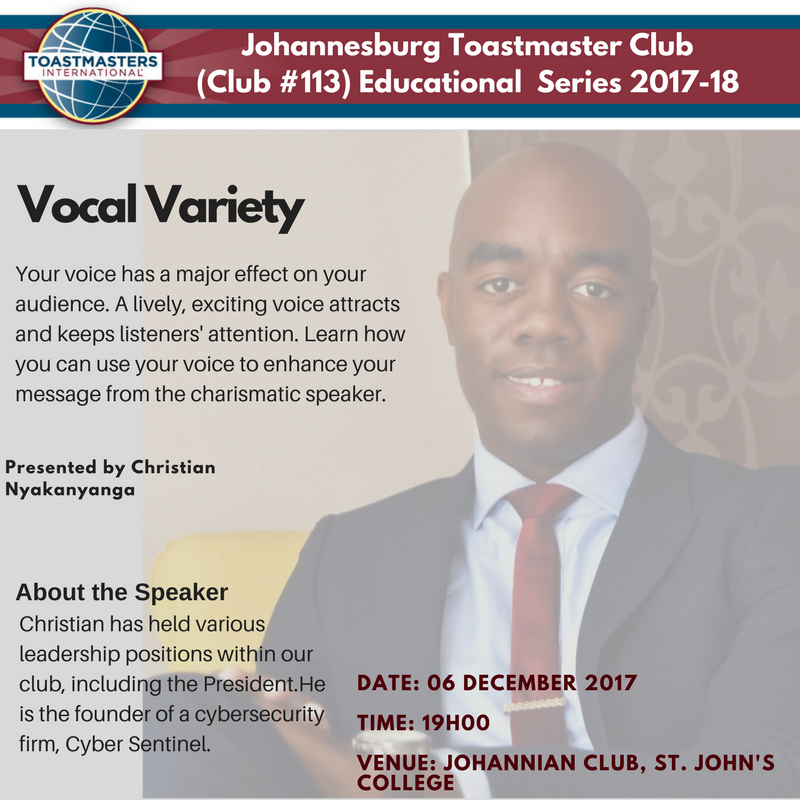 Toastmasters: Where Leaders are Made.